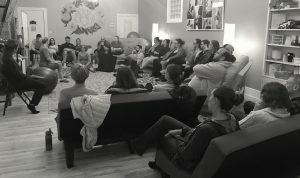 Our B4Birth prenatal meetings are unique in Rochester and exclusively for you, our BBC doula families. Since often you hire your doula months before your due date, these monthly meetings give us the opportunity to get to know each other and for us to work with you during your pregnancy. In our dream of creating a full spectrum of support, as well as our goal of a closer community, we have developed “B4Birth.” The 2nd Monday of every month, all of our BBC doula families are invited to learn about various topics relating to pregnancy, labor, and their newborn. Your doula will be present for any one on one discussion if desired, as well as the opportunity for you to meet all of our other BBC doulas who are in the wings as back-up. The relationship we create with you, our client, is very special to us, and this is another way we hope to nurture you. Plus, we love the idea of our families getting to know each other! Win Win for ALL!!! Topics we may cover are Birth Plans, Birth Environment, and the 4th Trimester, as well as special meetings about LOVE and our annual gift for Restorative Yoga every December. Our topics are always great subjects you can apply directly to your experience. Sign up for a doula bundle and join us at B4Birth!